Drones have been around for quite some time now. They come in various form factors, starting from those used by the US Air Force for surveillance to those used by hobbyists. Drones are used to perform various tasks these days. Complex video and photography, surveillance, keeping the birds in check at the airport, hunting rogue drones, and what not. And, with the self-driving cars around, it wasn’t gonna be too long when autonomous drones started coming into the market. But, what exactly does Skydio R1 offer to its customers? 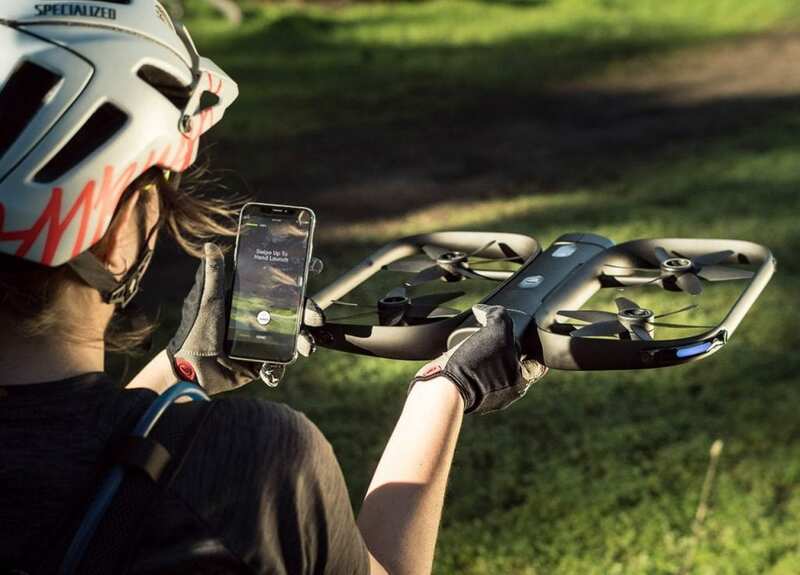 Skydio, the company behind R1, has advertised the product as “the self-flying camera“. And, you should read on before doubting those words. Instead of following a beacon or a smartphone, the R1 makes use of complex computer vision and artificial intelligence techniques in order to determine the position of the user. It also intelligently avoids obstacles while performing many complex maneuvers around the subject. And, the subject need not be stationary. The drone is able to perform maneuvers like orbit, follow, lead, side, etc. You can also choose to control it from the app itself. It has 13 cameras mounted at various positions all over its body. This allows the R1 to navigate the environment even when shooting your video. It uses something called SLAM or Simultaneous Localization and Mapping in order to keep track of the map and the target. By using various deep learning and path planning techniques, the Skydio R1 is able to capture stunning video while keeping up with a mobile target. This smart flyer makes use of Nvidia’s Jetson computer in order to crunch those grueling amounts of data. It has the capability of shooting and storing 4k videos at 30fps. It can also live stream 720p videos at 15fps. All of the above features may not seem like much for common folks. But, for enthusiasts and adventurers, these are mouth-watering specifications. However, the price of $2500 may deter many to try out this new toy and replace their Go-Pros.